A premium analog mixer with FireWire convenience and connectivity. 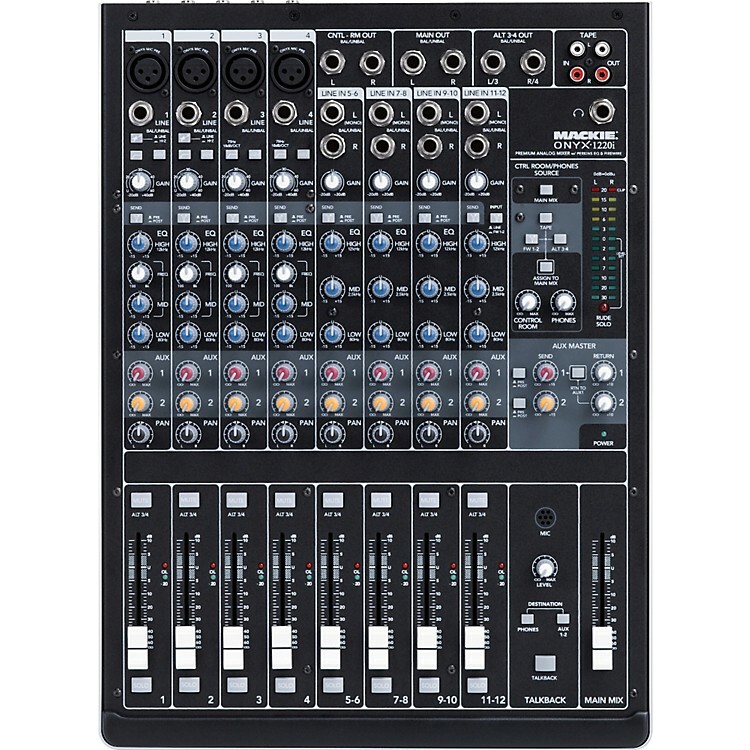 The 12-channel Mackie Onyx 1220i FireWire Recording Mixer combines the benefits of a powerful computer interface with the tactile, hands-on control of a sleek, space-saving premium analog mixer. Proven, professional features like four Onyx mic preamps and classic Perkins EQ only accentuate the mixer's ample connectivity and clear-cut workflow. The 1220i allows you to send channels, aux sends, or master L/R signals discretely to your Mac or PC for recording. It also includes Tracktion 3 Music Production Software.